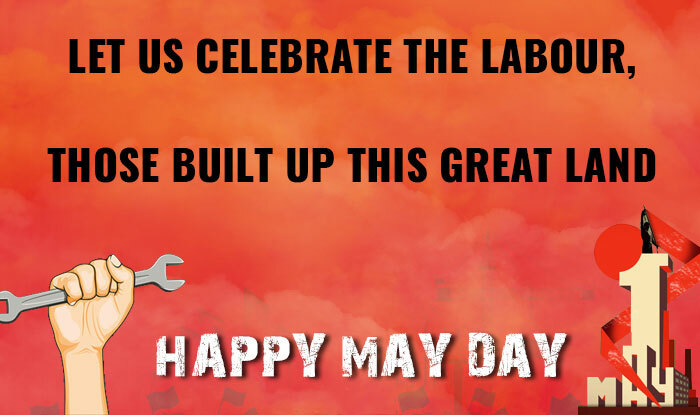 May Day has a significant in the history books as it marked the important International Labours Day or International Workers’ Day. What started off as an unofficial holiday, known as May Day in the United States, it originated from the 1886 Haymarket affair (Haymarket Massacre) in Chicago. Observed in more than 80 countries worldwide, the day is associated with the struggles of the working class to gain the 8-hour work day in the late nineteenth century. The day holds a special place for all the Protestants who struggled for the class demands of the proletariat, and for universal peace. The working classes all over the world celebrate their hard work over the years. Before the much-needed rightful protests, the individuals worked for lengthy 10 to 14 hours in unsafe working conditions. 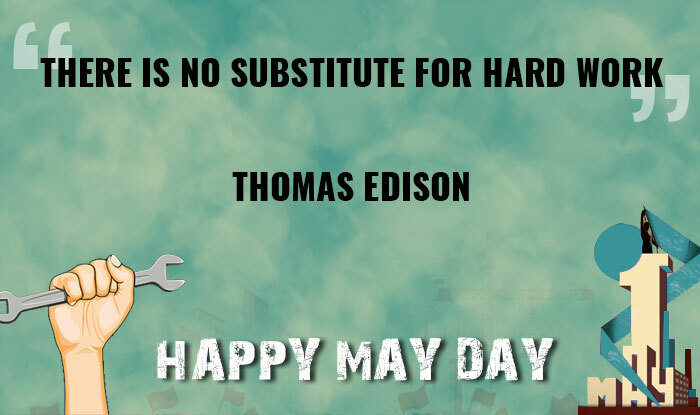 While May Day is a public holiday in the European countries, other nations like US and Canada, the International Labour Day is celebrated every year on 1st Monday of September as an annual holiday. They acknowledge the achievements of the working class in various fields. In India, the first was organised in Madras (now Chennai) by the Labour Kisan Party of Hindustan on 1st May 1923. 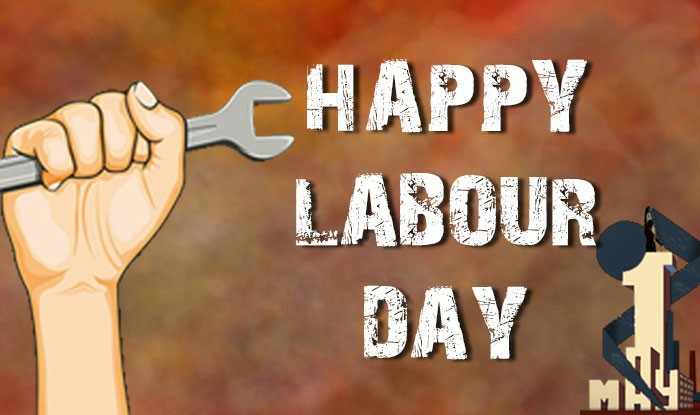 Labour Day is celebrated as “Uzhaipalar Dinam” in Tamil and “Kamgar Divas” in Hindi and Marathi in India. 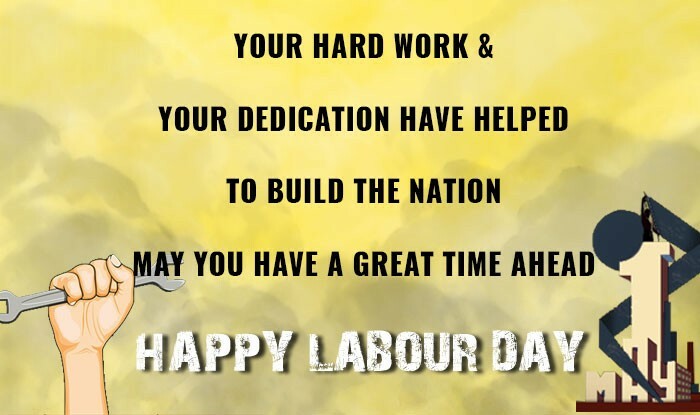 WhatsApp Reads: Your Hard work & Your dedication Have helped to build the nation May you have a great time ahead Happy Labor Day. WhatsApp Message: Stand for your right without falling to death for your toil. Make your day bright without being patronized as a weak vessel. celebrate today because it is your right. Happy International Workers’ Day. WhatsApp Reads: Labor disgraces no man; unfortunately, you occasionally find men who disgrace labor. Happy Labour Day. WhatsApp Message: Labour was the price we paid for the wealth of the world. Without labour we are all doomed because we will just be where we were. Happy celebrations people on International Workers’ Day 2017. WhatsApp Reads: You have toiled so hard during the year, working seriously so that we can put up our optimum best. This day has been created so that we can sit and rest a little. The rest we so deserved and celebrated the first months of the year. Happy International Workers day to you and your family. WhatsApp Reads: A man is not paid for having a head and hands, but for using them – Elbert Hubbard. 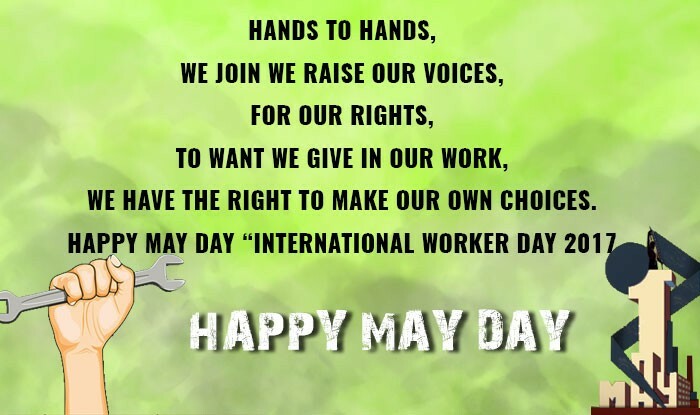 WhatsApp message: International workers day is different from all other days in our country. It is the time we set aside to look at our battles, wars,discord, poverty and all the labours of kingdom past. It is a day devoted to nobody but everybody. WhatsApp Reads: A bad day at work is better than a good day in hell. 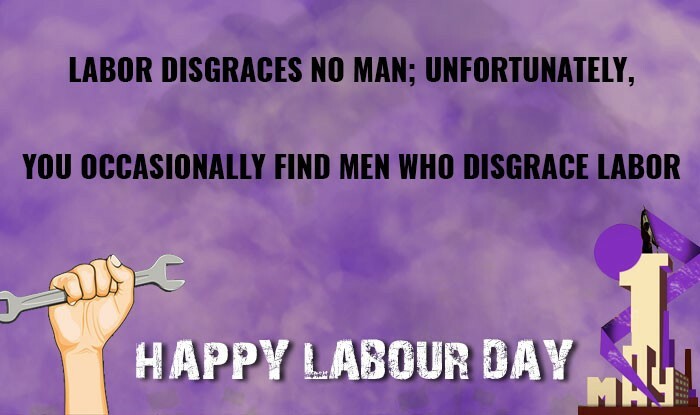 Happy Labour Day. WhatsApp Reads: There is no substitute for hard work. – Thomas Edison. Happy May Day! Labour Day Quote: All labor that uplifts humanity has dignity and importance, and should be undertaken with painstaking excellence. 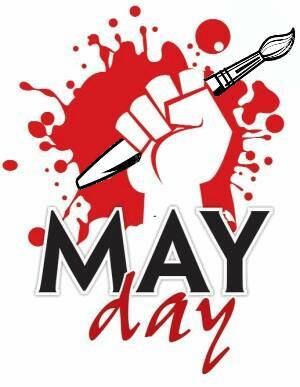 — Martin Luther King Jr.
WhatsApp Reads: Let us celebrate the Labour, Those built up this Great Land, Happy May Day. 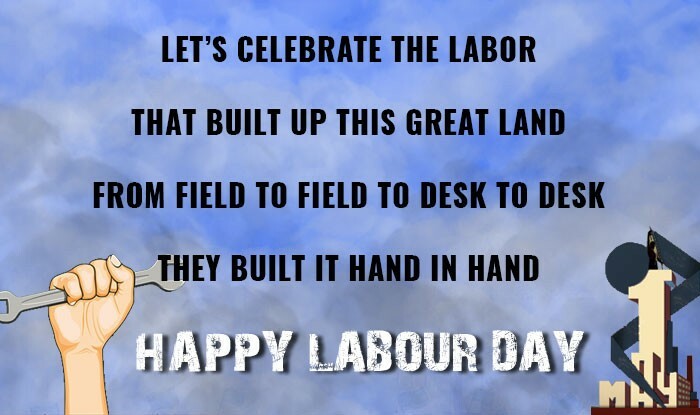 WhatsApp Reads: Let’s celebrate the labor, That built up this great land, From field to field to desk to desk, They built it hand in hand. 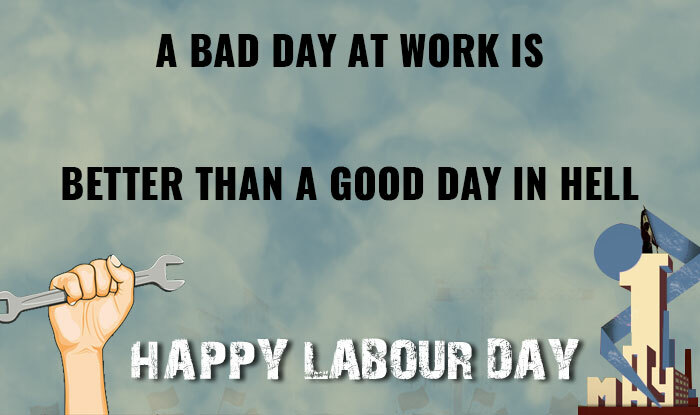 Happy Labour Day. WhatsApp Reads: A skilled worker, regardless of the job description, remains a treasure. Happy May Day. WhatsApp Reads: Hands To Hands, We Join We Raise our Voices, For our Rights, To want we give in our work, We have the right to make our own choices. 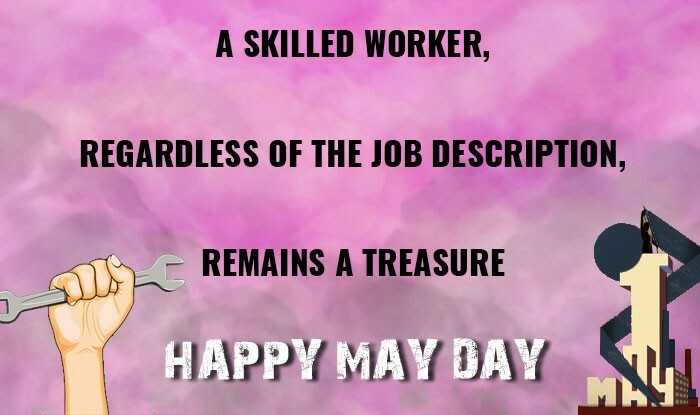 Happy May Day “International Worker Day 2017”. International Workers’ Day 2017 is a happy reminder of the rightful and fair system put in place in your working environment. The day is not a mere date in the annual calendar or a gateway to a long weekend but a day that reflects our accolades achieved throughout the year. Labour Day or May Day is as big as any of the mainstream festivals because this day gives us an individual identity in the society. 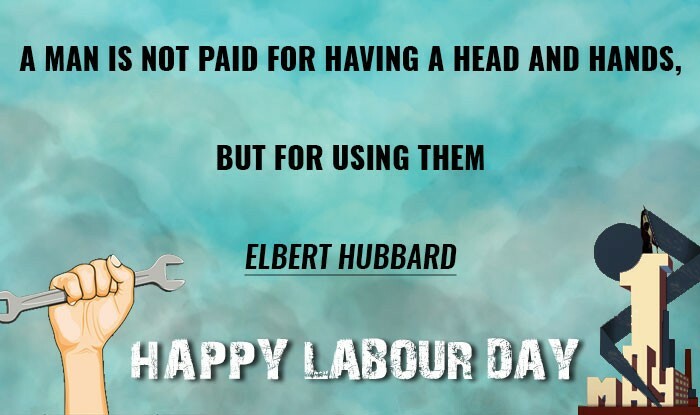 Go ahead and share these wonderful collection of Labour Day quotes and messages with your family and professionals.